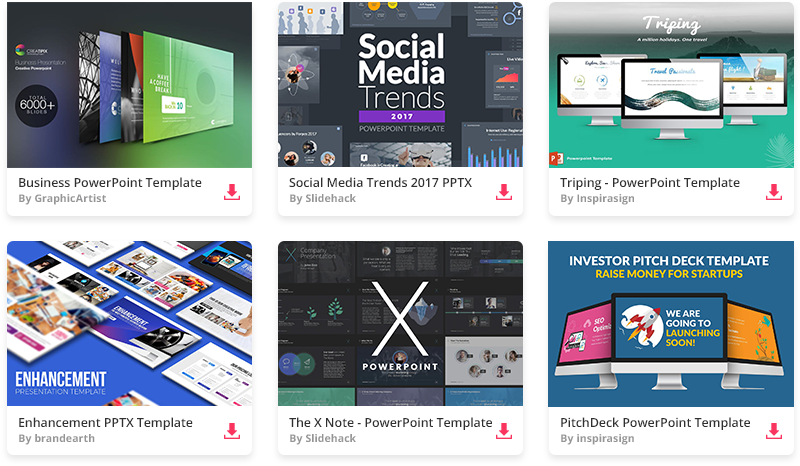 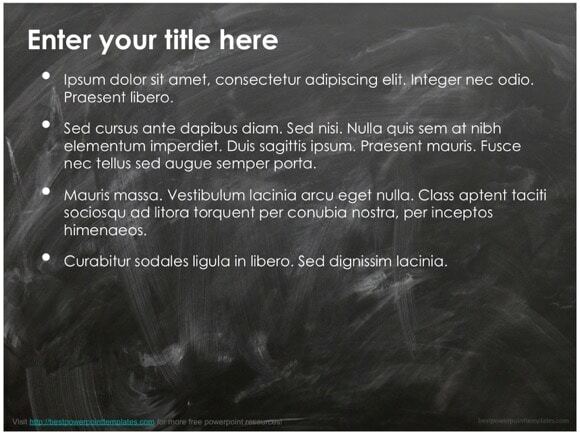 Blackboard PowerPoint template - FREE! 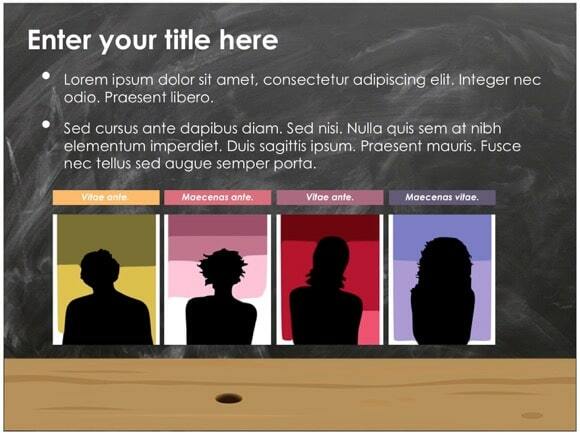 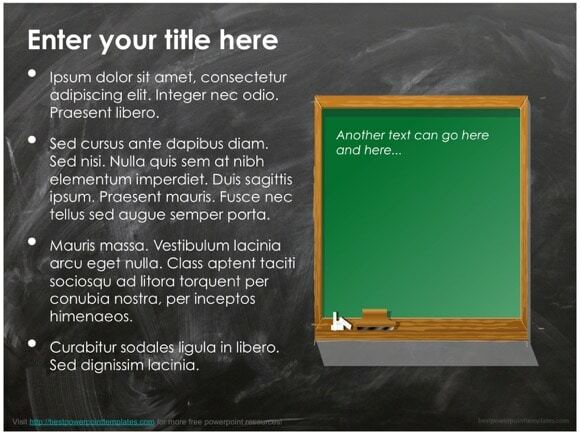 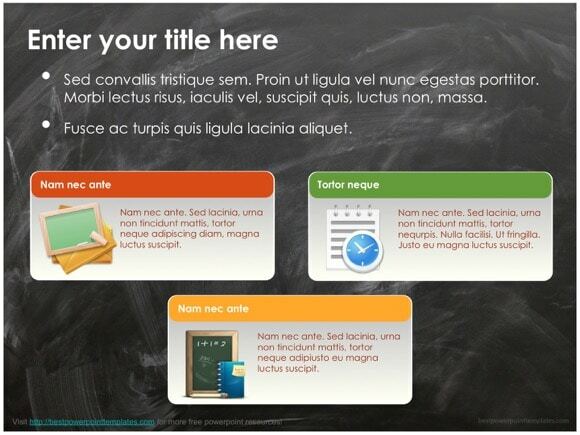 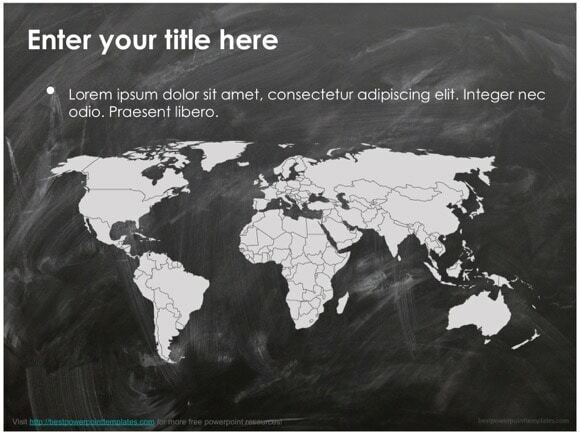 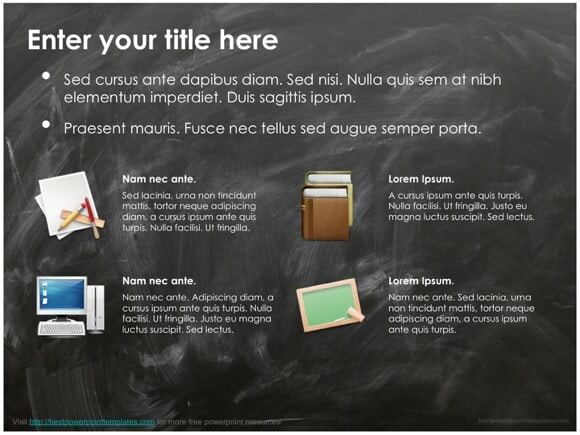 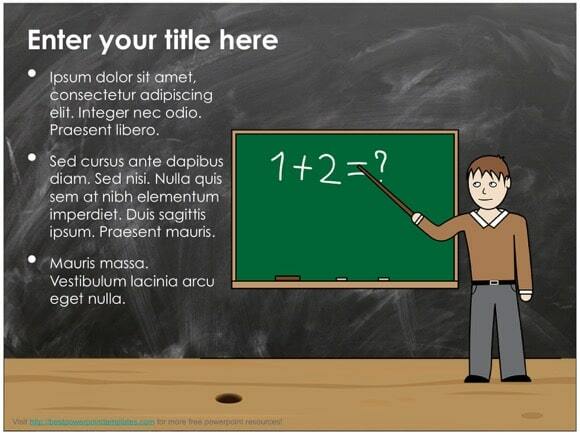 Another stunning blackboard Powerpoint template, which is great for learning and teaching. 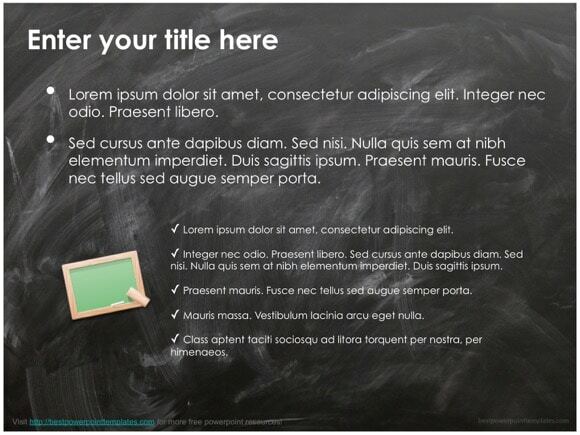 It has black chalkboard background, so this free theme is a good choice for presentations on educational topics for school or college. 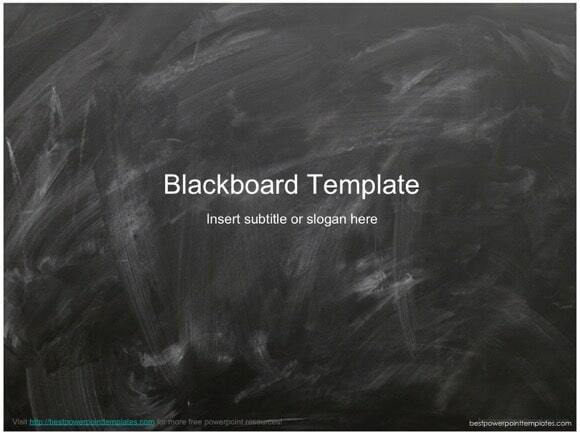 Simply download free blackboard theme and use it for your own Microsoft PowerPoint project.